Switching To Energy Saving Bulbs – Pope Power – Your local electrician based in Folkestone and covering the whole south east. In the 19th century, the first practical incandescent lamp was invented by Thomas Edison and Joseph Swan. 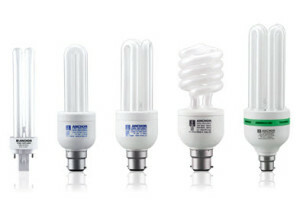 Since then there has been significant improvements in different types of bulbs and their efficiencies. There are different types of lights or lamps around, and they all being designed with a conceived image in mind. Major types of lamps or bulbs are commonly found in the lighting systems of homes,offices, factories, electrical devices etc. The performance of a light fixture depends on the bulb we use. 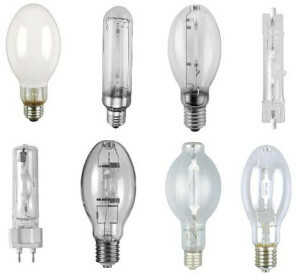 Different types of light bulbs produce different lighting effects. A lamp is a device that produces light by the flow of electrical current, and it is a general form of artificial lighting. 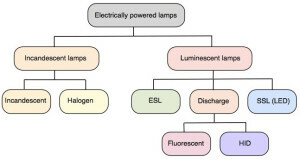 Lamps or lights are vital for a lighting system and offer efficient lighting. 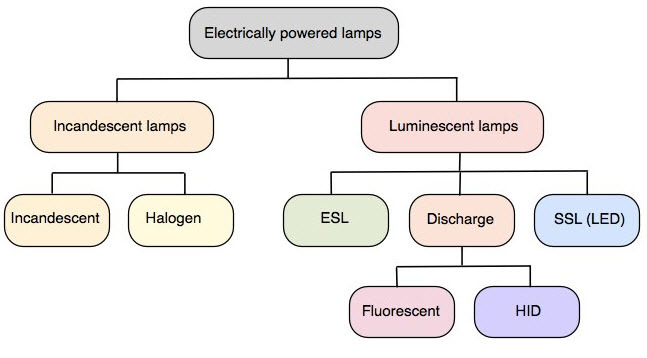 Generally, electrical lighting is powered by acentrally generated electrical power. If main lights fail,lighting can also be powered by battery systems, mobiles or generators. This article describes different types of lights, their working and uses. To conserve energy, select an efficient light bulb, which is capable of providing the type of lighting you need. Incandescent bulbs are standard bulbs and many people are quite familiar with these bulbs. 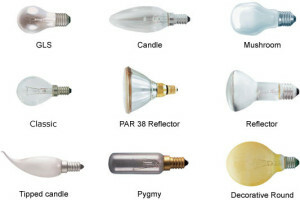 These incandescent bulbs are available in a broad range of sizes and voltages. An incandescent bulb glows and produces heat when electricity passes through the tungsten filament present inside the bulb. The filament of this bulb is placed either in a mixture of nitrogen gas or in a vacuum. These bulbs are being gradually replaced by LEDs, fluorescent lamps, and other service based new technologies. The reason for this is that when this bulb is switched on, the sudden flow of current, energy and heat penetrate the thin areas, which in turn heat up the filament; once the filament heats up, it tends to break and burns out the bulb. 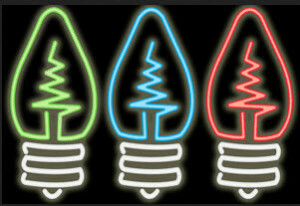 Incandescent bulbs can last for 700 – 1000 hours and can also be used with a dimmer. Incandescent bulbs generate steady heat, which is quite good for house hold applications. Luminous efficiency of incandescent lamp is about 15 lumens per watt. A compact fluorescent lamp is a modern type of light bulb that works like a fluorescent lamp. It contains mercury, which cause difficulties to its disposal. A CFL is designed to replace an Incandescent lamp. Generally, CFLs use less power, produce same amount of light and have long lifespan.Most of the compact fluorescent lamps consist of two or three tubular loops. Sometimes they even look quite similar to incandescent bulbs. These lamps cannot be used with dimmers, and usually they can last for 10,000 hours. Luminous efficiency of a compact fluorescent lamp is about 60 lumens per watt. 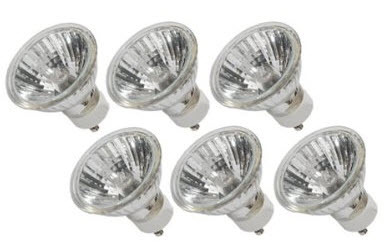 A halogen lamp consists of a tungsten filament, which is sealed with a compact transparent envelop and filled with an inert gas and small amount of halogen (bromine or iodine). These lamps are smaller than the conventional lamps. 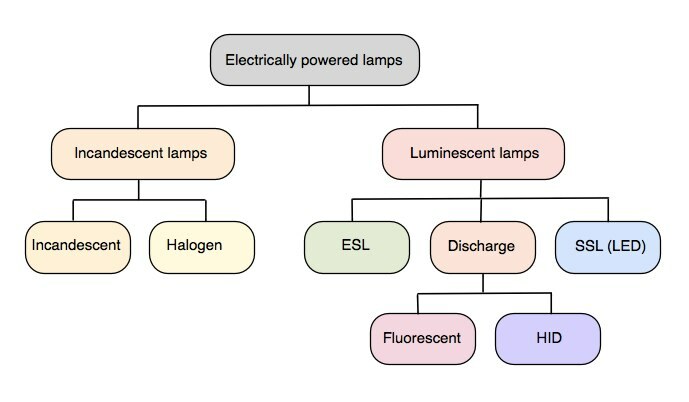 Halogen increases the lifetime and brightness of the lamps. Luminous efficiency of a halogen lamp is about 25 lumens per watt. Metal halide lamps consist of a discharge tube or arc tube within a bulb. This tube can be made from either ceramic or quartz and contains mercury, MH salts and a starting gas. Metal halide lamps produce a great amount of light for their size, and these lamps are one of the most efficient lamps. These lamps are most commonly used in halls, traffic lights, on stages and in outdoor lighting systems for commercial purposes. LED lamp is an electrical component that emits light through the movement of electrons in a semiconductor device. It lacks a filament,uses less power and has a long lifespan. LEDs produce more light than incandescent lamps and help save energy in energy-conserving devices. 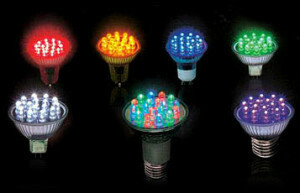 LEDs are usually assembled into a light bulb to be used as a LED lighting system. 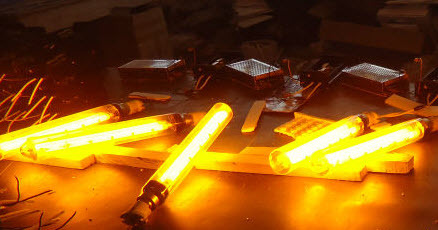 These diodes can emit light of an intended color without the use of color filters. The initial cost of a LED is generally high and these are used to build electronic projects. A fluorescent tube is a gas discharge tube that uses a fluorescence to produce visible light.Luminous efficiency of a fluorescent tube is about 45 to 100 lumens per watt. 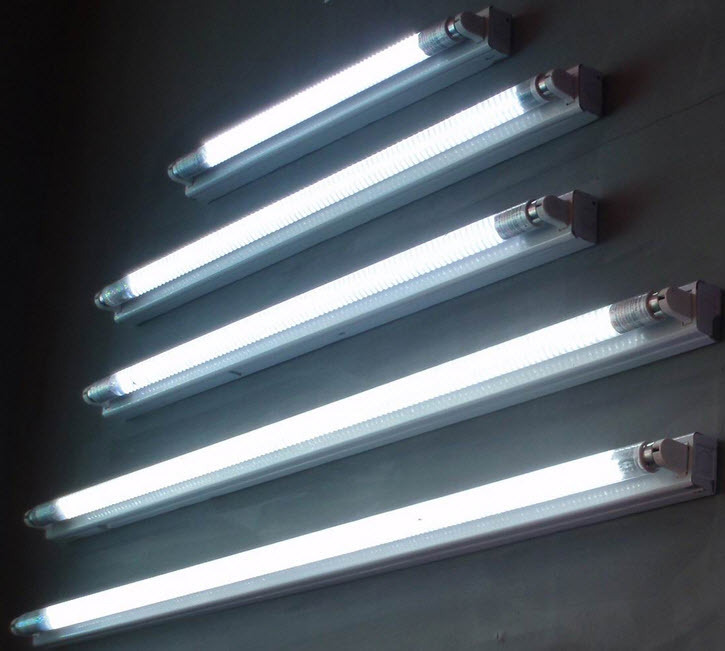 Compared with the incandescent bulbs, fluorescent tubes use less power for the same amount of light, and are usually more complex and expensive than the incandescent lamps. Fluorescent lamps do not have good color representation ability, but these tubes are cool in appearance and color.Fluorescent tubes can be used in many places around a home,but cannot be used with dimmers. A neon lamp is a gas-discharge lamp that contains gas at low pressure. It is assembled by mounting two electrodes within a small glass envelop. 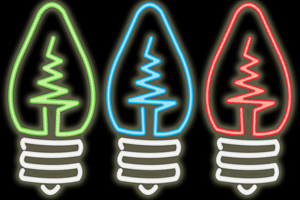 Standard brightness bulbs are filled with an argon or neon gas mixture, and high-brightness lamps are filled with a pure neon gas. When a voltage is applied, then the gas ionizes and starts to glow allowing a very small current to travel from one electrode to the other electrode. Once the gas ionizes, the operation of the lamp can be maintained at a lower voltage, and the maintaining voltage may vary between 10-20 volts depending on the lamp and operating current. 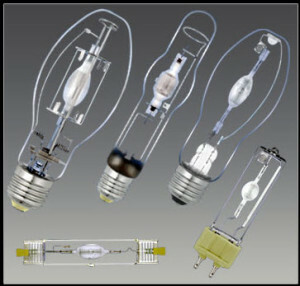 Metal halide, mercury vapor, self-ballasted-mercury lamps and high-pressure-sodium lamps all are high intensity discharge lamps. These lamps are specially designed with inner glass tubes that include tungsten electrodes with electrical arc. This inner glass tube is filled with both metals and gas. With the immunity of the self-ballasted lamps, auxiliary equipment (starters and ballasts) must be provided for proper operation of each bulb. 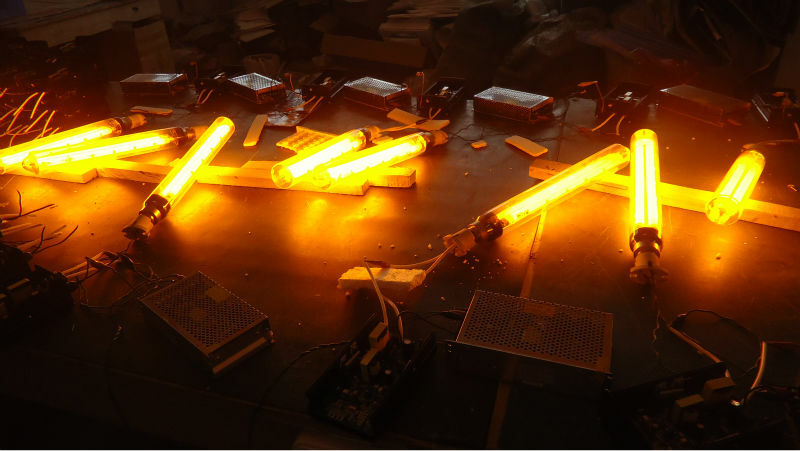 These lamps produce a large quantity of light compared to the fluorescent and incandescent lamps. High-intensity-discharge lamps are normally used when high levels of light are required over large areas which include outdoor activity areas, gymnasiums, large public areas, pathways, roadways and parking lots. Low-pressure-sodium lamp is the first sodium lamp which has the maximum efficiency than all the other lighting systems. These lamps operate much like a fluorescent lamp and there is a brief heat up period for the lamp to reach full brightness. Low pressure sodium lamps are commonly used in places like roads, pathways, outdoor areas and parking lot wherein color is not important as such. Thus, this is all about different types of lights or lamps which are used for indication purpose in electronic project kits, and in lighting systems as well. For more information regarding the same, please post your queries by commenting below.